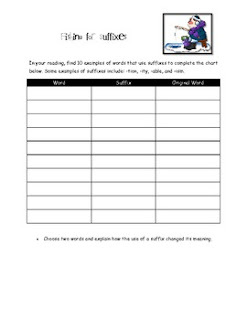 Use this for your ESL/ELL learners to draw connections to suffixes during reading. I used this in my world geography class. It really helps them to find examples while their reading.